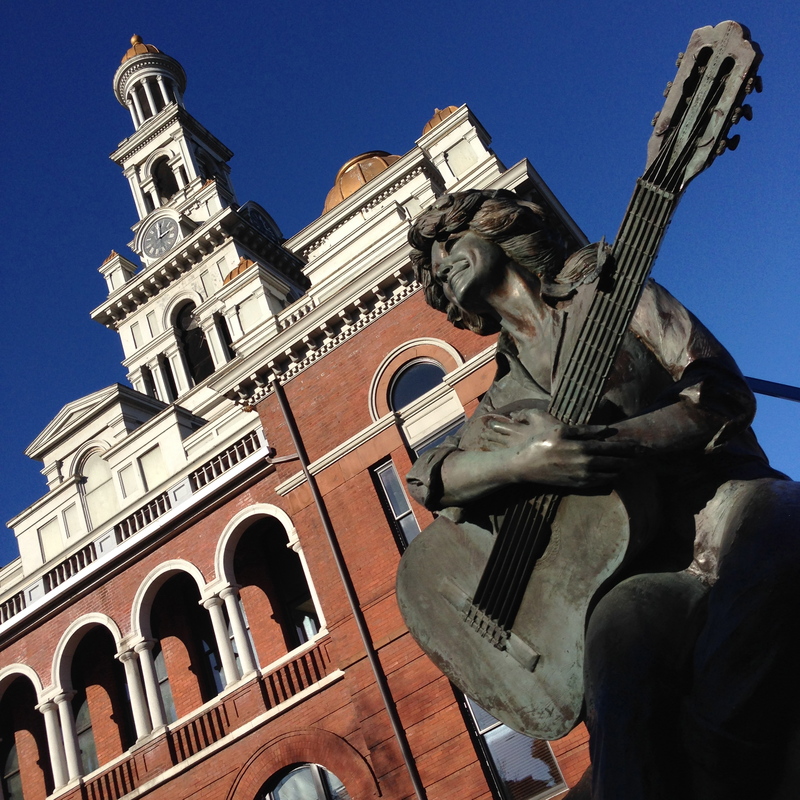 Like some sort of religious zealot, Lance must make an annual pilgrimage to Pigeon Forge, Tennessee, home to Dolly Parton’s eponymous amusement park. On our previous visit, we bought season passes, good from the holiday season of 2012 through the end of 2013; given that the season pass price was only ~$30 more than a 1-day ticket, we took a gamble, figuring we’d definitely be back in 2013. 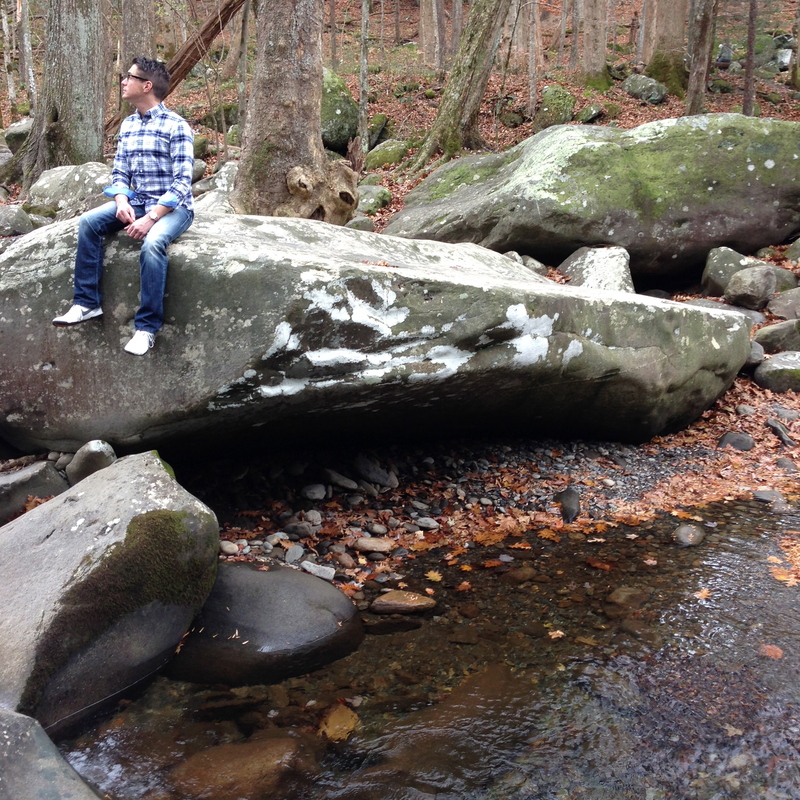 Yet the close of 2013 was rapidly approaching, and we hadn’t once set foot on Wild Eagle OR Blazing Fury. Decisions had to be made. 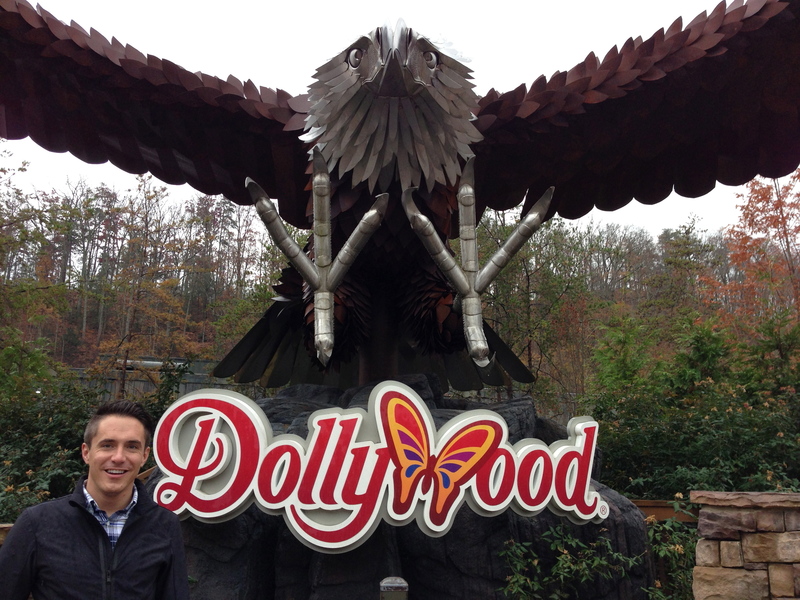 We again decided to visit Dollywood during the park’s annual Smoky Mountain Christmas. The weather is cool in Tennessee that time of year and Dollywood is literally wrapped to the nines in Christmas lights. Dollywood, not surprisingly in a Southern state, also runs a fair split of Christian and secular holiday shows, which is kinda charming, if you don’t think too much of the “organized Christianity’s long history of discrimination against gays” thing. 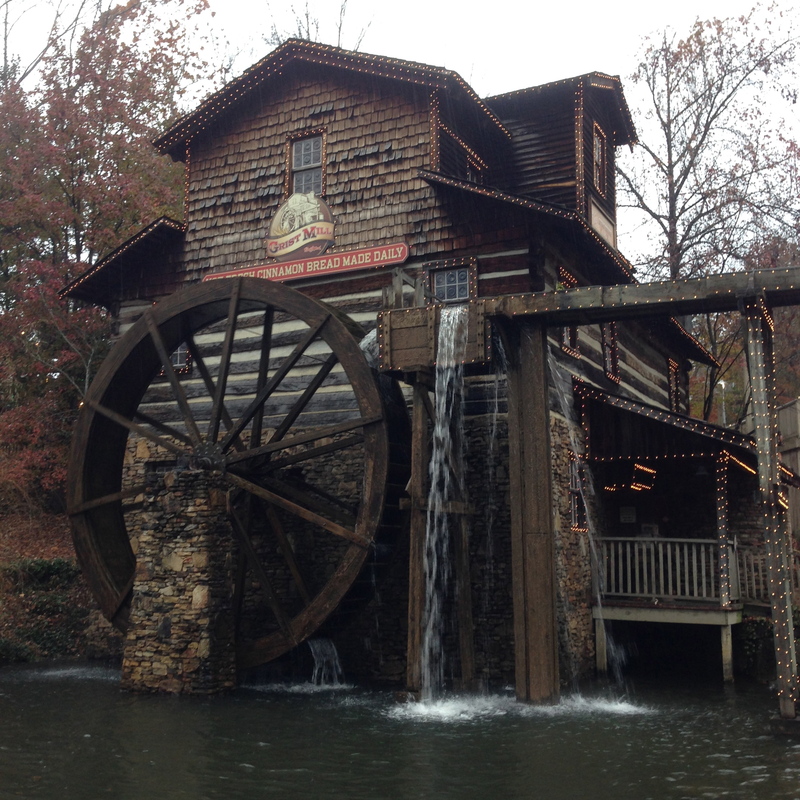 We arrived in Pigeon Forge on Saturday night, with just a few hours left before the park closed for the night. 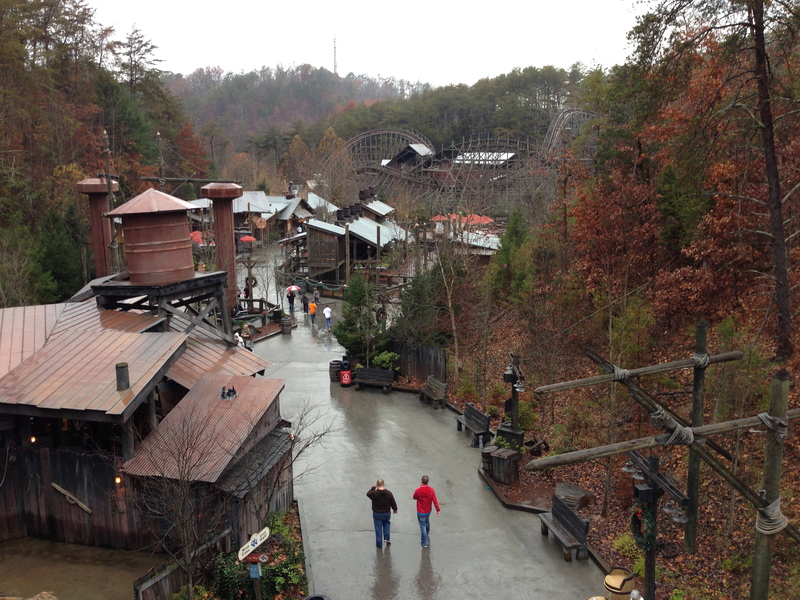 The place was jam-packed with thousands of locals there to catch the holiday parade; after spending a half-hour just getting from our parking spot to the gate, we shimmied our way to the back of the park for the terrific Mystery Mine and Wild Eagle coasters. 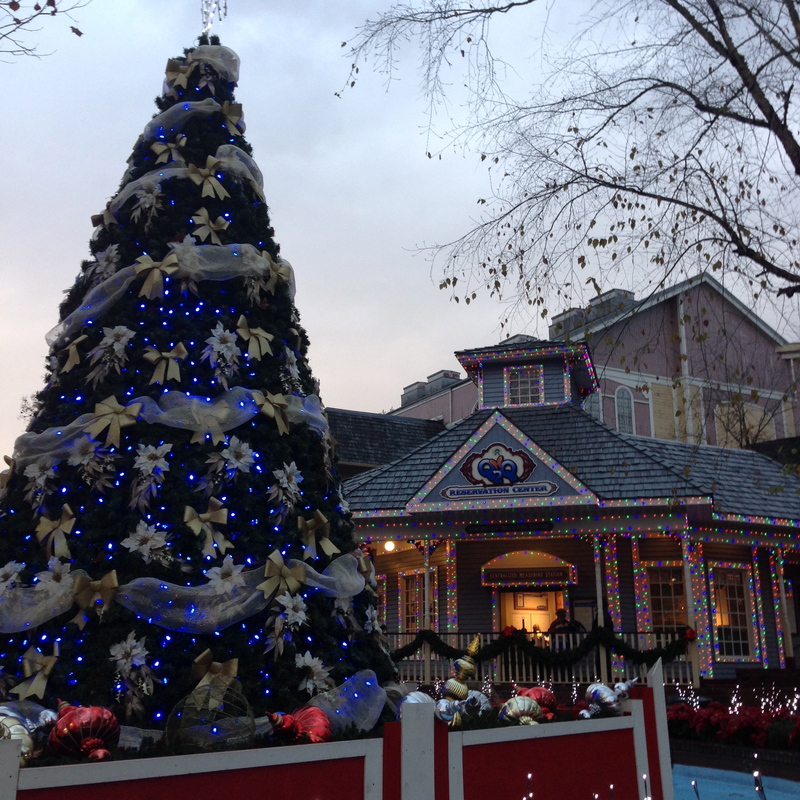 On Sundays during the holiday season, the park doesn’t open until 2:00pm. Still, we felt like seven hours in Dollywood justified the drive, so we spent the morning taking a scenic drive through the Smoky Mountain National Park, which we’d never done before. On the way up a mountain, we saw a bunch of pick-up trucks (of course) pulled over. City-slick gawkers that we are, we rubbernecked only to find…A BEAR. 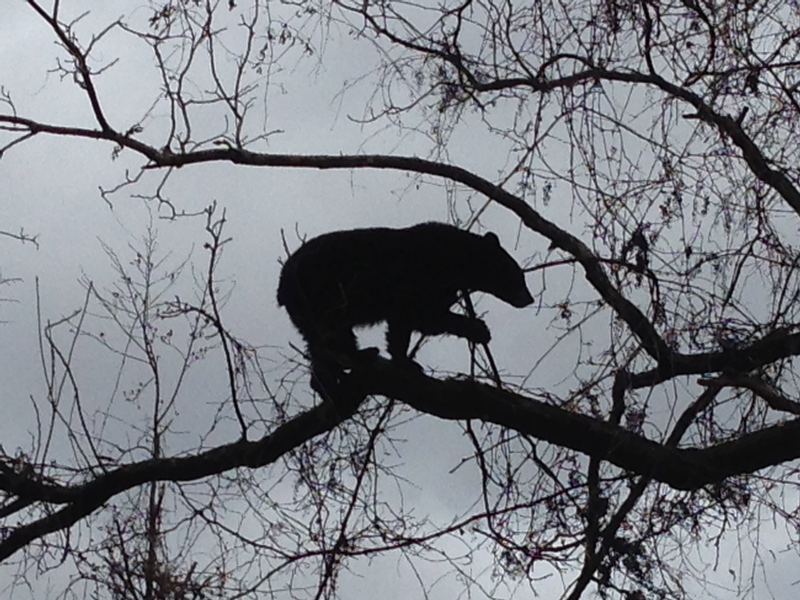 And not the kinda bears us urbanites are used to…HEY-O! 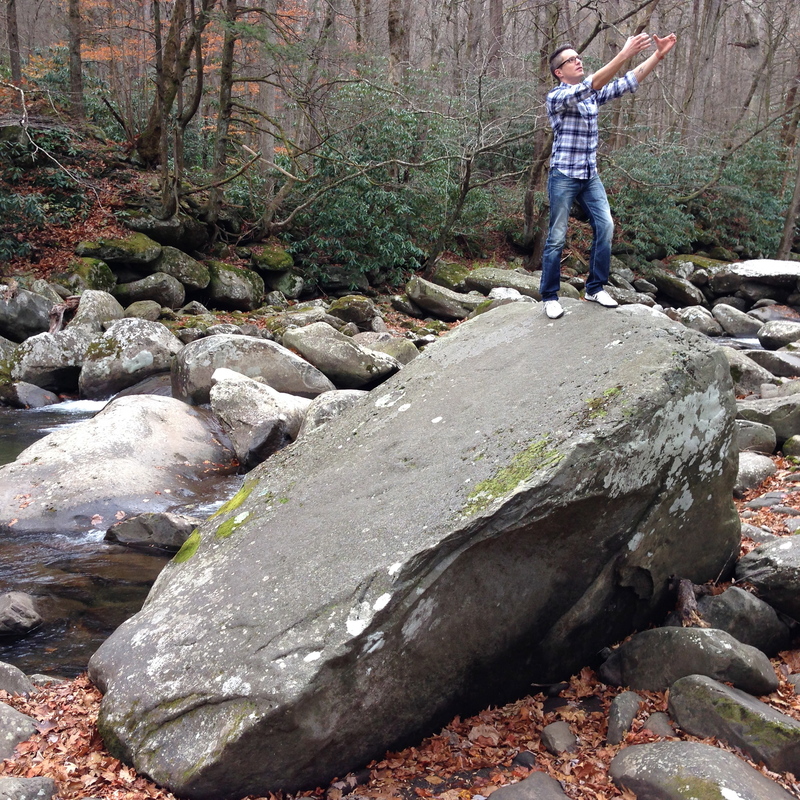 Lance doing his best Rafiki. Unfortunately, with the afternoon came rain, and right as we were in line waiting to be let in to Dollywood, it started to drizzle. And didn’t stop all afternoon. 6:00pm rolled around, just four hours into park operation for the day, and ropes started going up in front of ride queues. We were soaked, but we were committed to getting the most out of this season pass which we’d only used twice. 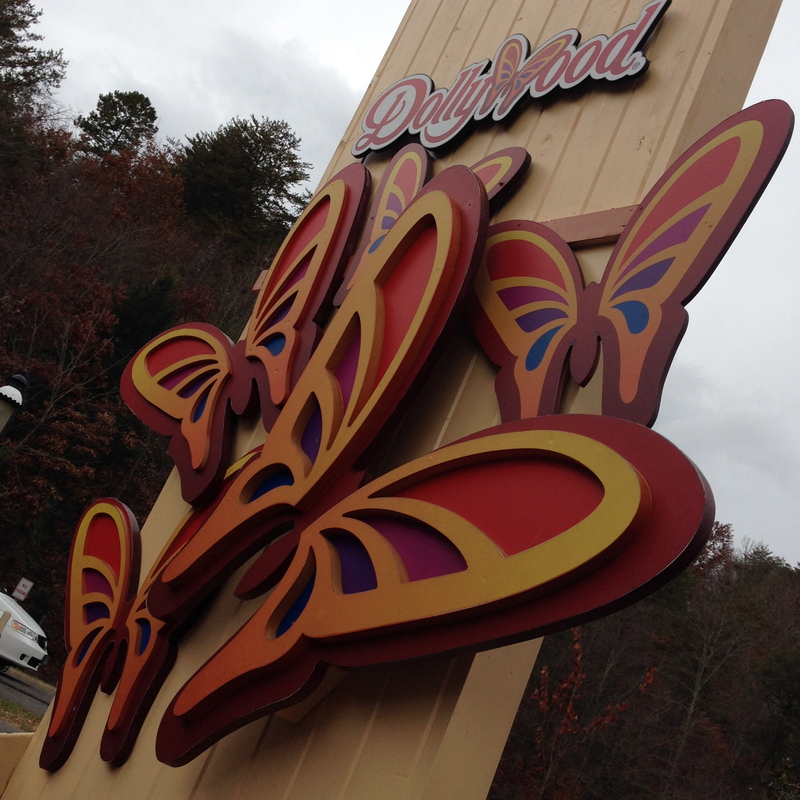 “Is the park closing?” I asked a Dollywood employee. It was supposed to stay open for another three hours. “Yup, bad weather coming this way,” she said. So Dollywood management just decided to shut down the park early. We looked at the forecast, and the weather was not anticipated to get any worse than it had been all day. Lance and I figured that it was probably related to the very light crowd in the park all day–it wasn’t cost-effective to leave the park open for maybe 100 guests. Lance was obviously disappointed–Dollywood is practically his second home (aside from Bath & Body Works…and Pei Wei…and Target…). I was disappointed because we’d spent 11 hours in the car the day before to get here and only got six total hours in the park. I was on the verge of breaking down into tears thinking that all that driving was for naught. On the way out of the park, I made sure to visit Guest Relations. “They’re going to make this right, dammit!” I said, though I didn’t know how much of a case we’d have as season passholders who just happened not to have used their season passes all year. “Well, we can offer you essentially a rain check pass to come back during the 2014 year,” the Guest Relationships rep told us. We took it. So now we basically HAVE to go back to Dollywood in 2014 in order to take advantage of our free passes (I’m not one to easily pass up a good deal.) Which means another 22+ hour roundtrip commute to eastern Tennessee. As an old fuddy-duddy wrapping up another year, it’s hard not to feel that particular wave of anxiety every time my birthday approaches. OMG, what have I done with my life? I haven’t accomplished anything! I’ve wasted a whole year!!! @bkroz_: This is weird, but today I realized my 2013 travels include Orlando, Los Angeles, Tokyo, Williamsburg, NYC, Philadelphia, and Puntarenas. @bkroz_: In other words, I’ve had a pretty great year and I’ve seen a lot. I’m proud and thankful for what I’ve seen and done! I’m a globetrotter! …And those got me thinking. It’s always easy to think about what you don’t have or haven’t achieved. It’s easy to never be satisfied, to not put things into perspective. I got to go back home to Michigan several times this year…oh, and I went skydiving! I earned a promotion at work and have been able to work on some really great, challenging projects. 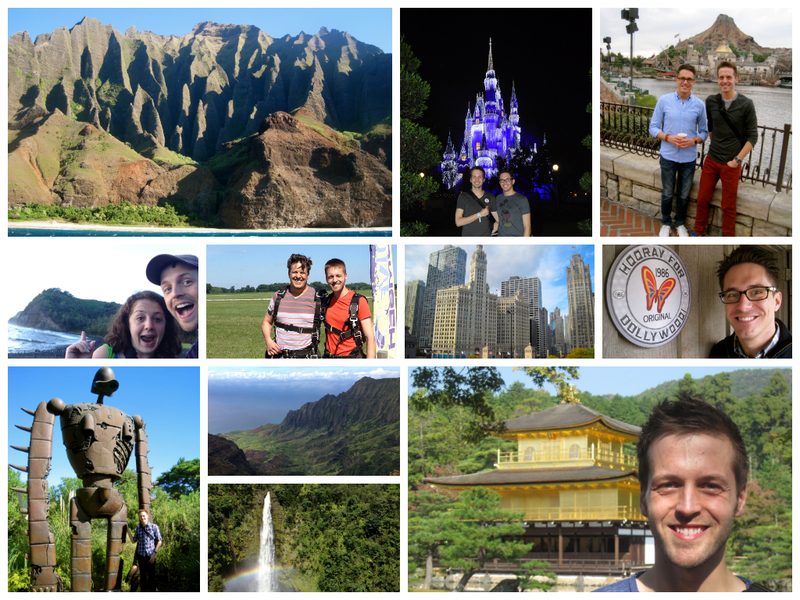 We were lucky enough to meet some amazing people because of this blog, in person for the very first time! And, of course, I got to do all of the above with friends, family, Ripley, Kitty Boo, and especially Lance. Even though I have the itch to do more, I’m incredibly fortunate and grateful for the opportunities I’ve had. Last weekend, I got Disney World and Mickey’s Very Merry Christmas Party. 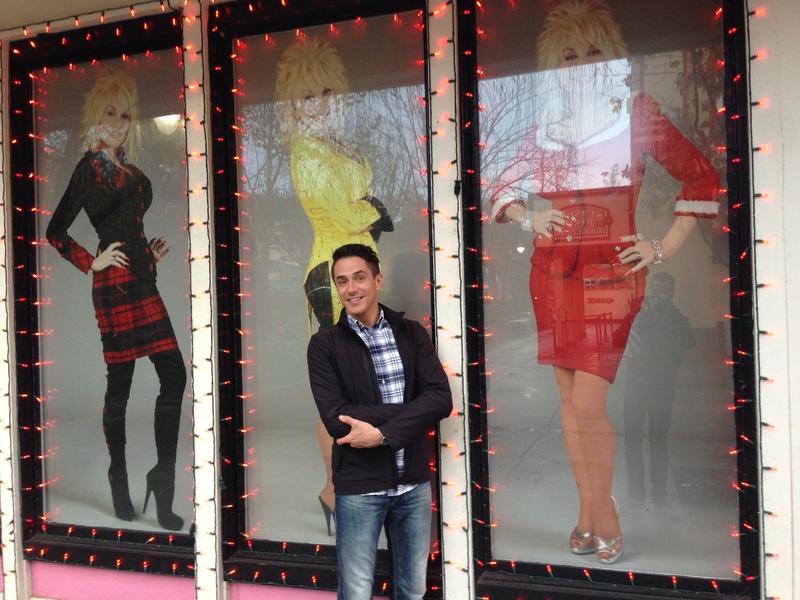 This past weekend, Lance got Dollywood and its Smoky Mountain Christmas. To be fair to Lance, we’d joked (or so I thought) about going to Dollywood for Christmas for almost a year. Lance loves Dolly Parton purely and without a spec of irony, and in such a wholly and devoted way that I’m not sure even I hold a candle to their special bond. I’ll leave the “why” for Lance to explain, should he feel so inclined, but just know this: there was no doubt in his mind that the 11-plus hour drive to Dolly’s theme park in Pigeon Forge, Tennessee, was well worth it. 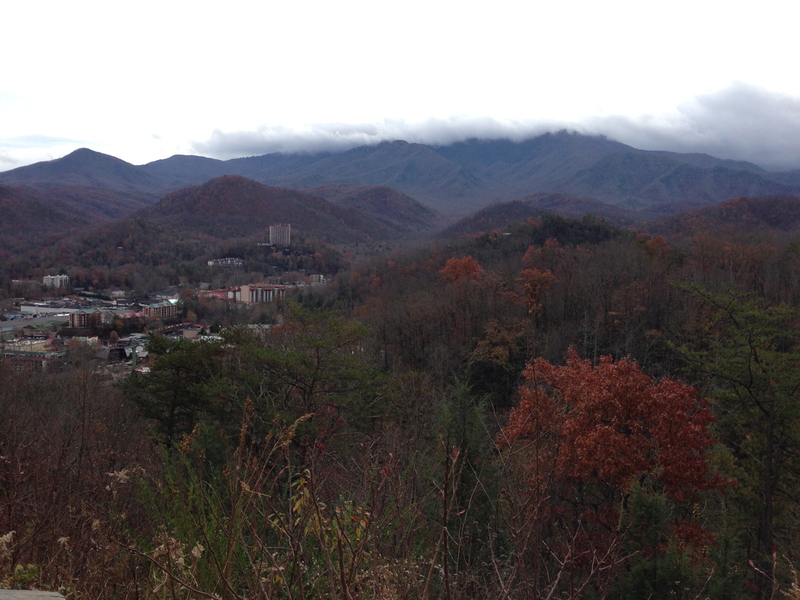 We stayed at the Hilton Garden Inn Gatlinburg, a town over from Dollywood. 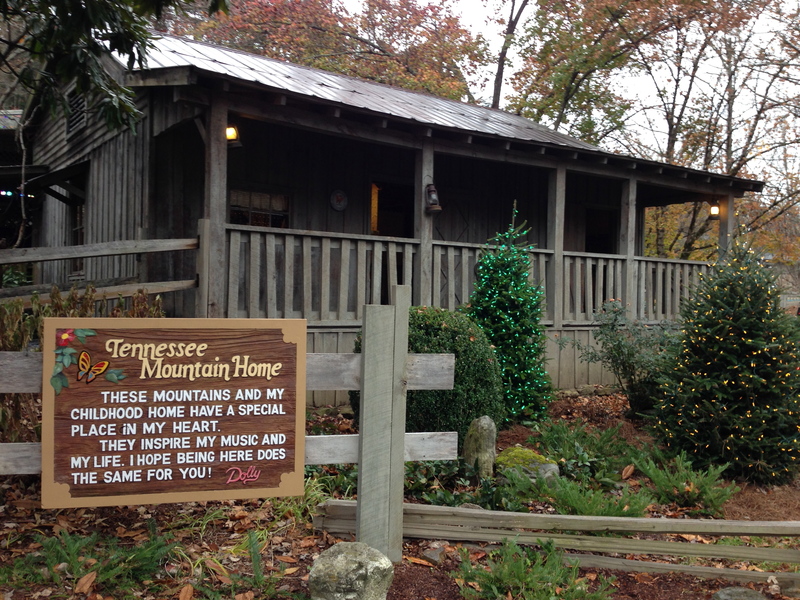 We’d stayed here on our one prior trip to Dollywood and loved it so much (it’s like a cabin with a fireplace and everything, but without the scary bugs and deranged woodsmen who come to kill you in your sleep!) we had to return. Above: Lance warming up by the hotel’s outdoor bonfire. It was a little chilly during our visit!